Vicki Renee Forbus, 48, of Glasgow, Montana passed away peacefully at her home with her dog, Missy, loyally by her side. Vicki was born May 23, 1970 in Merrian, Kansas to Karen (Brooks) and Euell Forbus Jr. Vicki spent most of her childhood years in her family home. The family moved frequently, as Euell’s job required them to relocate often. In the late 1970s the family relocated to Eastern Montana, Vicki received her education through the Miles City School System and finished her education in May of 1990. Vicki moved to her home at the Mitchell Group Home, in Glasgow Montana in March of 1993. She remained her in Glasgow at the Mitchell Group Home until the time of her passing. Vicki loved to swing on a nice summer day, going for rides, outings around town, and watching movies. She enjoyed listening to music, singing and being outside. Her greatest joy was having letters from her family and books read to her. Vicki will be remembered for her sweet smile and her love of the song “Wheels On The Bus”. She is preceded in death by her mother. She is survived by her father, Euell Forbus Jr.; brothers, Steven Forbus and Robert Forbus; sister, Kimberly Cunningham; her Milk River and Mitchell Group Home friends and her beloved dog, Missy. Was sorry to hear of Vicki’s passing. 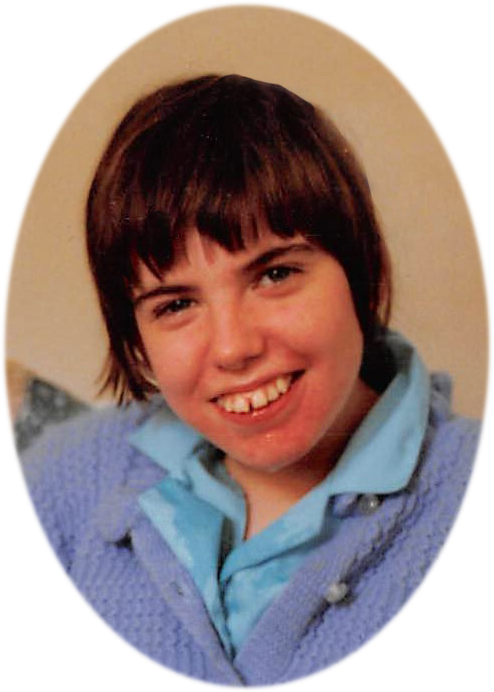 She resided in our Stephanie Group Home in Miles City for a number of years prior to moving to Glasgow, and was missed by everyone when she left to follow her parents to the Glasgow community. As noted in her obituary, she had an infectious smile!